The State of Kerala in India is must visit place for national and international tourists. 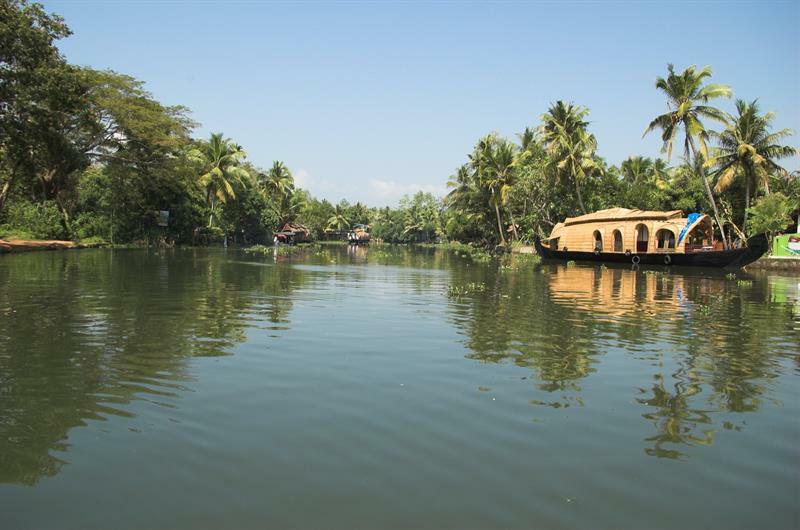 Throughout the year, people gave visit to backwaters of Kerala; it's a happening hub. Here are Top 9 Must Visit Places in Kerala every tourist must keep in priority list. Often called the Kashmir of South India, its location is some 1600 ft above sea level. It's one of the major places of attraction for national and international tourists. Some of the must visit place in and around Munnar are: Eravikulam National Park; Indo Swiss Dairy Farm; Anamudi, Tata Tea Museum and Idukki Arch Dam. For more details read Places To Visit In And Around Munnar. Do you love those four legged creatures? 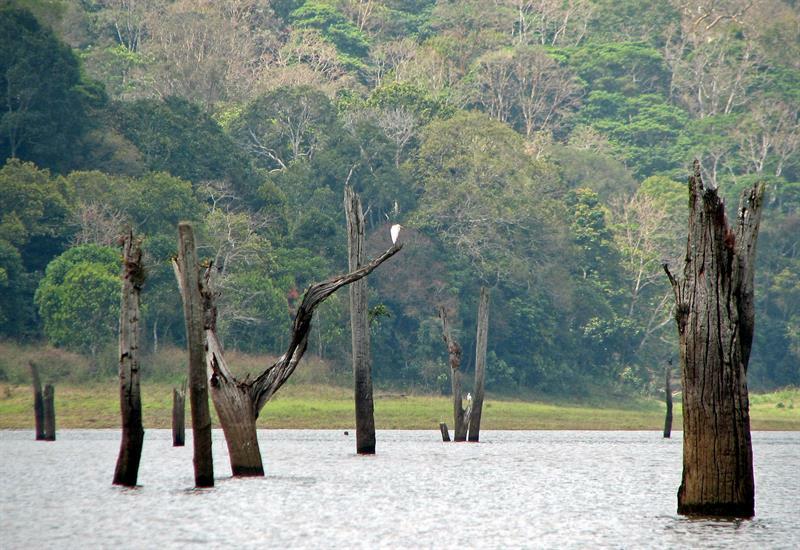 Well, Thekkady is a must visit place for you. Have a one-to-one with Tiger Uncle in this beautiful tiger reserve. Be ready to hear a thunder from elephant and a roar of lion. Watch beautiful Deers, boars and bison roaming inside. Next you can head for Nature Walk in Periyar Tiger Reserve. This 5 km area is protected under Sandal Protection Trekking Programme. Enjoy, watching, birds, bees and butterflies. Popularly called the 'Venice of the East', Alappuzha Backwaters attract tourist in vast numbers throughout the year. The credit goes to the network of canals making ways through vast expanse of paddy fields. The beautiful beaches, houseboat holidays and boat races win hearts of tourists. The coir industry and marine products of Alappuzha Backwaters are well known businesses. Other major places of attractions near Alappuzha are the statue of Karumadikuttan near Ambalapuzha, Mannarasala Sri Nagaraja Temple, Mannarasala Sri Nagaraja Temple and Revi Karuna Karan (RKK) Memorial Museum. A 13th Century Italian traveler remarked about Kochi as follows: "if China is where you make money, then Cochin surely is the place where you spend it!". 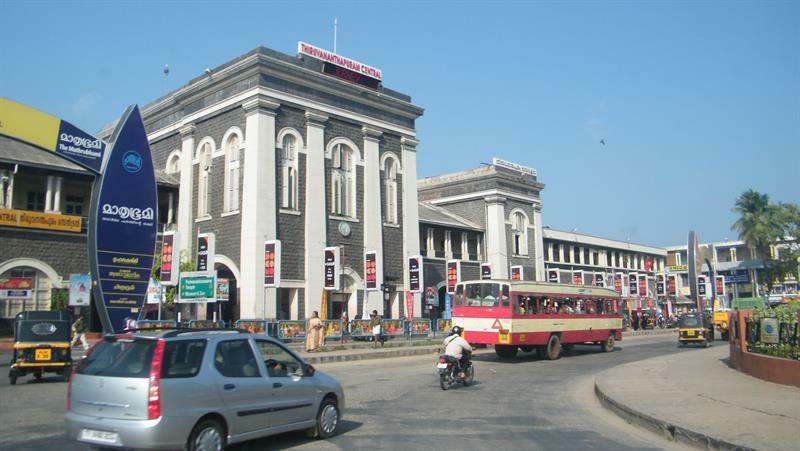 Kochi, erstwhile Cochin is one of the important seaports of India. 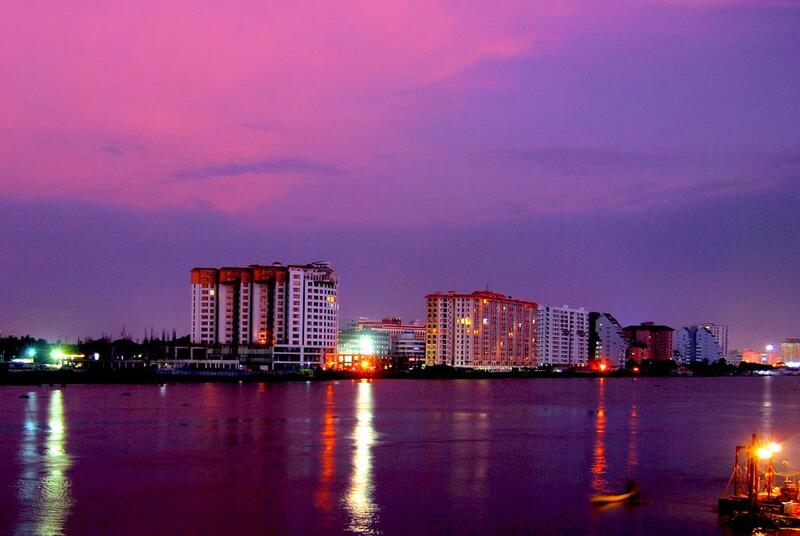 Hence Cochin is a tourist destination, a business hub, a place to find job and an abode to enjoy life. People from all across India come here and stay for livelihood. This is one of the major tourist attractions in Kerala for spending holidays. Popular places of attraction in and around Kochi are: Jewish Synagogue, a beautiful structure built in 1568; Cherai Beach, Marine Drive, Santa Cruz Cathedral Basilica, Fortkochi & Chinese Fishing Nets, Mattancherry Palace, Kodanad Elephant Sanctuary, Ezhattumugham Nature Village and Athirappally water falls. "The Paradise of South India" is surrounded by three beaches which together forms the Kovalam Crescent. 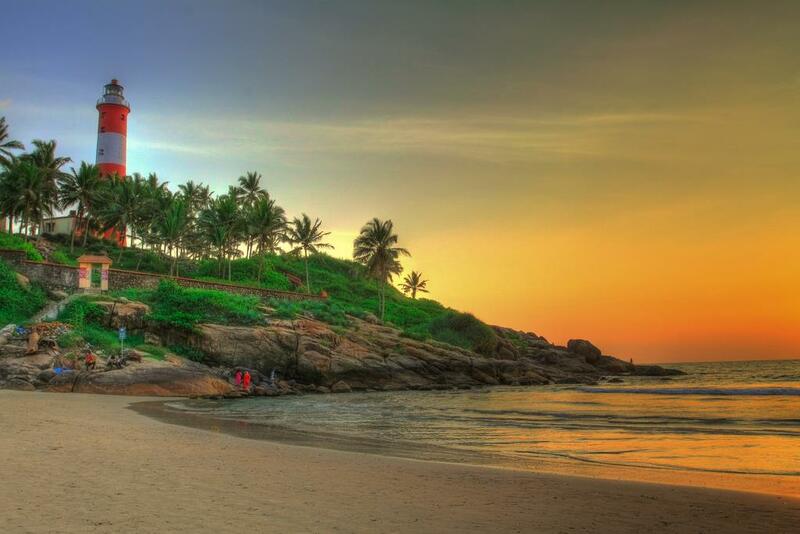 The 17 KM coastline of Kovalam is orchard of coconut trees. Just a 16 Km drive from Thiruvananthapuram city, Kovalam is a must visit place. Do you know the word Kovalam means "Groove of Coconut Trees". For sure you will enjoy drinking lots of coconut water and recipes made of coconut and rice here. Mahatma GandhiJi referred Thiruvananthapuram as "Evergreen city of India". Also known as Trivandrum, its district headquarters of the Thiruvananthapuram District and Capital City of State of Kerala. All Major Government Offices, Big Corporate Houses, Shopping Malls, Multiplexes and Top Educational Institutes (schools. colleges and universities) are found here. There are many hotels and hostels to offer accommodation to tourists. Other places of attractions near Thiruvananthapuram are Priyadarshini Planetarium; Vizhinjam Rock Cut Temple; Kuthiramalika and Kanakakunnu Palace. The popular tourist destination Kanyakumari is just an hour drive from here. Your cultural knowledge of Kerala can not be said as complete without visiting to Thrissur. The Cultural Capital of Kerala has association with rich history of cultural, spiritual and religious learnings. The widely popular most magnificent temple festival 'Thrissur Pooram' is hosted here. Some other places of tourist attractions are Athirappally Waterfalls & Vazhachal Waterfalls and Anakkayam. Its location is some 66 kms east of Kollam. The Thenmala is meeting point of kollam-Shencottah road and Trivandrum-Shencottah road. Numerous rubber and tea plantations are found here. Timbers of all varieties are exported to all parts of India from here. The Themala Dam site is open for tourists throughout the year. The major tourist attractions of Thenmala are Thenmala Eco Tourism Centre and Deer Rehabilitation Centre built within the Kallada river side forest. 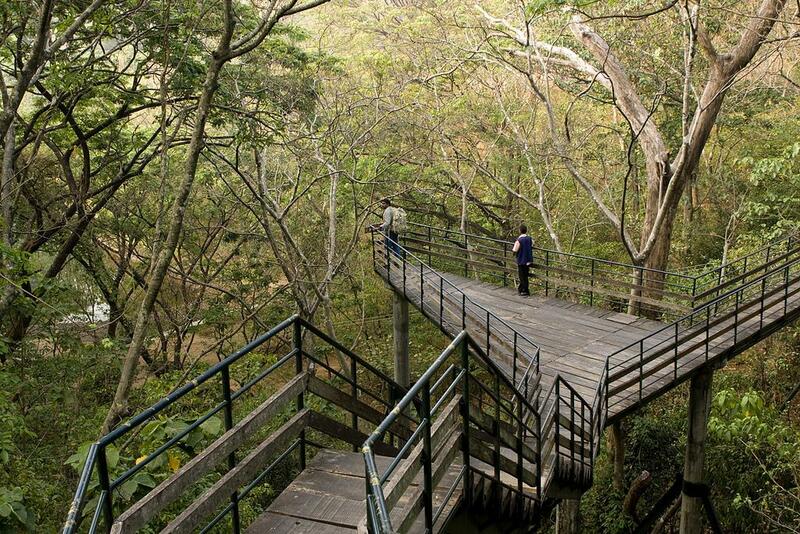 A Tree House and a small Children park are special places of attractions for tourists visiting this site. Check out more Kerala travel articles at Kerala, India. We are visiting in May with my extended family. We want to go to Munnar, Thekkady and Vagamon. Is it a good time to visit these places? Will it be over crowded during the summer? We want to spend some quality time there with family members and want to find some affordable places to stay. Also, which place will be cheaper to get hotels - Munnar, Thekkady or Wagamon? Munnar is the best destination in Kerala. I have been to Munnar with my family 3 or 4 times and we all enjoyed that place to the best. 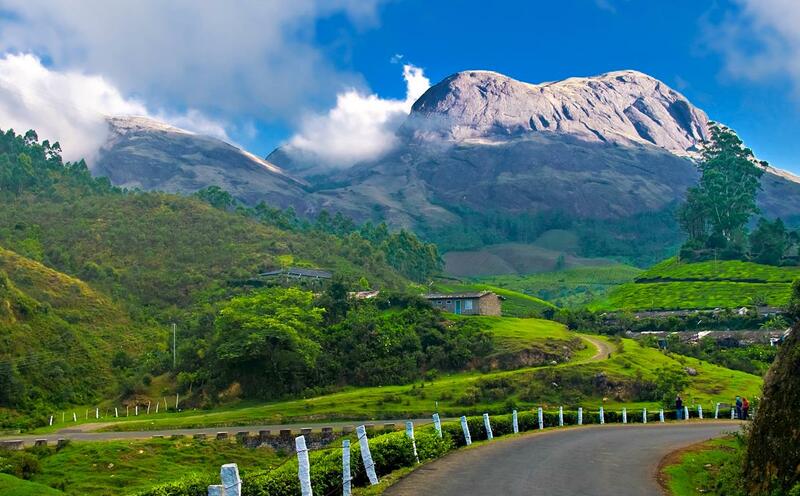 Tea Gardens, beautiful hill views, Eravikulam national park are the prime tourist attractions. Other than Munnar, which other places you suggest to visit? I have 3 small kids and I am looking for safe places in Kerala to visit. Munnar is my favourite place too. Have you visited Wayanad? If you love beauty of nature, then Wayanad is also a great place to explore. There are lot of hills and beatiful views out there. To enjoy Wayanad in full, you must stay there 2-3 days. This article is more informative for the people those who are visiting Kerala for the first time. It will help them in making decision to visit the best tourist places in Kerala. Thank you very much for sharing the valuable information about the must visit places in Kerala..